If My Life Were an Episode Of Star Trek. I’d like to think it would be a Worf episode. 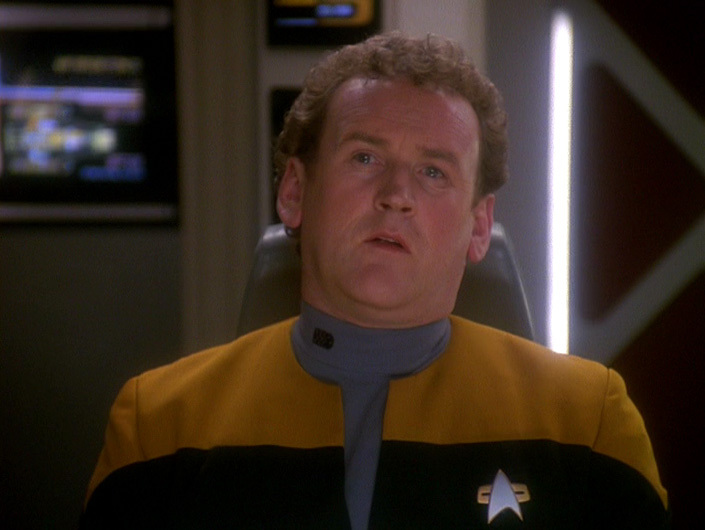 But in reality, it would be an O’Brien episode. Yesterday, I went running. And it was just as difficult as I expected it to be. What I didn’t realize, is that I’d need different shoes. I figured my trainers would suffice. My trainers sufficed in picking up every piece of tiny gravel on the track and redistributing them against the back of my calves. And then there was the mud all in every nook and cranny. So, I broke down and bought a pair of running shoes. For running. Running shoes with no nooks or crannies. Nookless. Cranniless. Running shoes. Shoes only for running. And nothing else. I am still sort of reeling from the fact that I work out nearly every day. But this having different shoes for the different workouts business is just plumb crazy. How did I get here? Is this what my life has become? Is this my beautiful house? Is this my beautiful wife? And then there was work. And running workout for the evening crew. One might say I was tuckered out by the end of the day. I’d go so far as to say I was knackered. Today is Wednesday. And sweet baby Batman it is going to be a busy one. Rumor has it that workout this morning is going to be extra gnarly. And then work. Because I’m not tired already or anything. And then meetings. Zaxxon is hitting the road today for the great white North. Be sure to send him some good road doogies to help him along the way. And with that, the push-ups are calling me. « The Elusive First Line of Every Song.